Kofi Annan hands his report over to Myanmar President Htin Kyaw. Myanmar’s Rakhine state is in a development, security and human rights crisis, says an ­independent report, which calls on Aung San Suu Kyi’s government to lift all restrictions on ­Rohingya Muslims and end their statelessness. 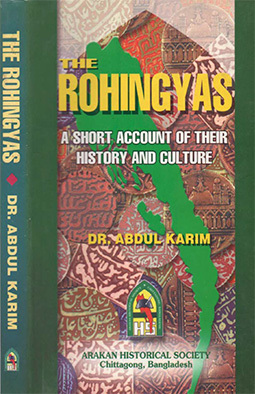 The 63-page report by the Rakhine Advisory Commission, led by former UN secretary-­general Kofi Anann, will be controversial in Buddhist-majority Myanmar, where the about one million ­Rohingya are widely seen as illegal immigrants from Bangladesh. But it warned prompt action­ was needed to avoid fuelling extremism and to bring peace to the poverty-stricken state. Presenting the report in Naypyitaw last night, Mr Annan said the recommendations “speak to the frustrations of the Muslim population, which feels especially vulnerable because they are ­deprived of documentation and freedom of movement”. “We are well aware our recom­mendations on citizenship and freedom of movement touch on profound concerns of the Rakhine (Buddhist) population. The commission was ­appointed by State Councillor Ms Suu Kyi last September to draw up proposals on how the government could develop the poverty-stricken state and reconcile the Muslim and Rakhine Buddhist communities, which have clashed several times since 2012. 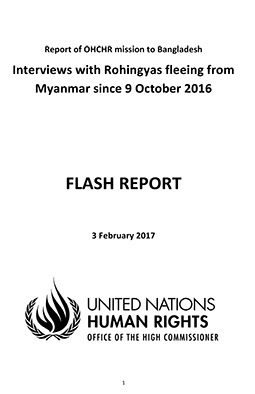 While acknowledging suffering on all sides, the report found the “protracted statelessness and profound discrimination” of the Rohingya had made them “partic­ularly vulnerable to human rights violations”. 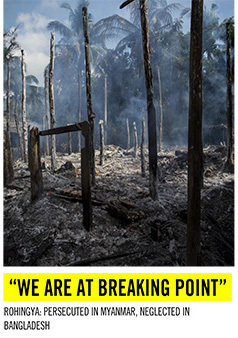 Myanmar has faced inter­national condemnation for its treatment of the Rohingya. About 120,000 people are confined to camps because of communal violence, denied political representation, and healthcare and education. An attack last October on three border posts that killed nine police officers sparked a military crackdown that has forced more than 87,000 Rohingyas to flee to Bangladesh. Rights groups and the UN have recorded hundreds of allegations against security forces­ of mass killings, gang rapes and the razing of villages. Among the report’s recommendations was to end the statelessness of hundreds of thousands of Rohingyas through an overhaul and acceleration of its citizenship verification process. Those who have lost their citizenship or had it revoked must be allowed to reacquire it “if failing to do so would leave them stateless”. The government should also consider reviewing the link between­ citizenship and ethnicity and review and the 1982 law that effectively bars Rohingya after that date from becoming citizens. Myanmar does not recognise the Rohingya as one of the country’s 135 gazetted ethnic groups. The report also called on the government to ensure freedom of movement for all people “irrespective of religion, ethnicity, or citizenship status”, and for it to prohibit any informal restrictions such as unofficial payments and arbitrary roadblocks. “The question should not be whether Rakhines and Muslims will live together, but rather how they will live together. Reinteg­ration, not segregation, is the best path to long-term stability and development in Rakhine state,” it concluded. Mathew Smith, from Fortify Rights, was impressed by the recommendations and hoped the government took them seriously.